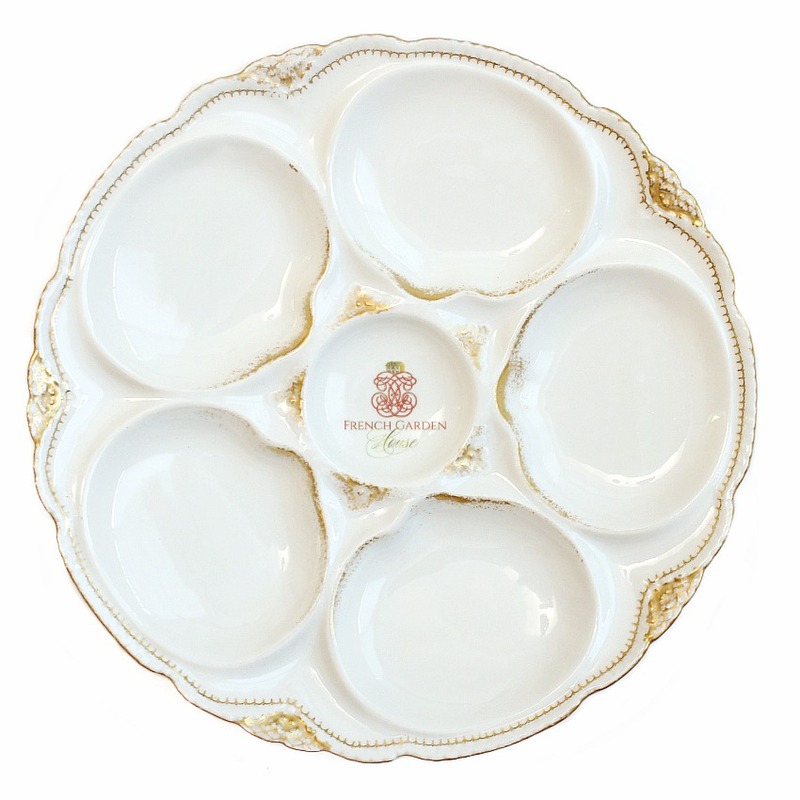 Sweet and classic Antique French Limoges Oyster Plate produced by Theodore Haviland with the mark for 1903, with the mark for Burley and Company. Burley and Company was founded in 1884, they were a retailer and importer of fine luxury home wares. 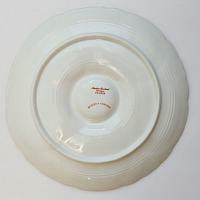 This plate has lovely clean lines and a pretty gilt pattern that adds just a hint of elegance. The white and gold plates are greatly favored by collectors, the gold shows up the pristine white beautifully. There are five wells around the central condiment well, enhanced with gilt sponged detail. There is slight usage wear of the gilt, this was used and loved. 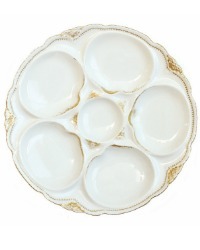 Elegant and sure to be a treasure for your antique oyster server plates. A fine heirloom addition to your collection, to display with joy & pride.